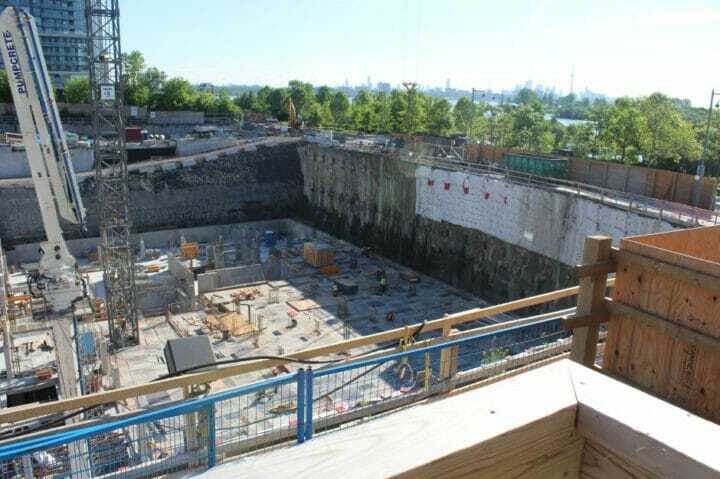 We are happy to announce excavation at Eau Du Soleil is 100% complete! 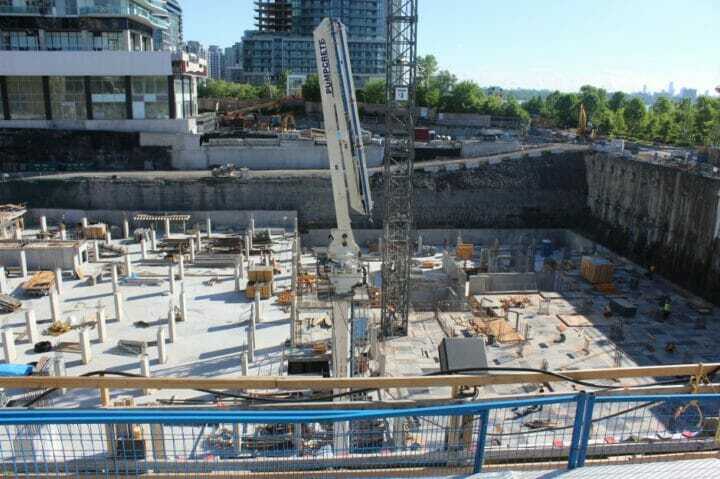 The underground parking lot is well on its way as construction continues. 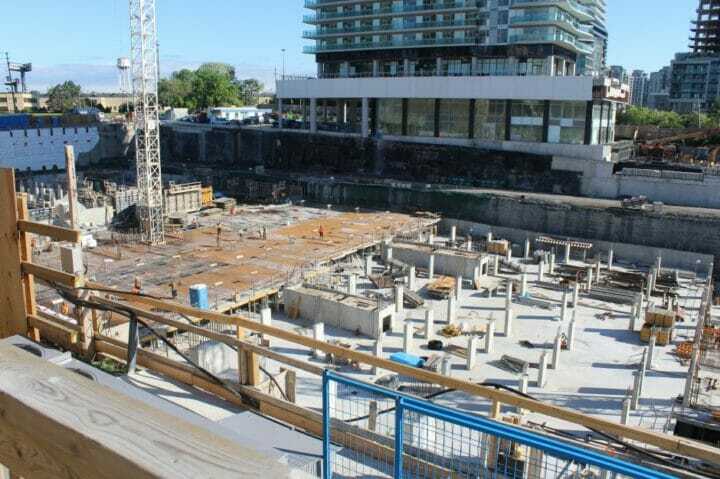 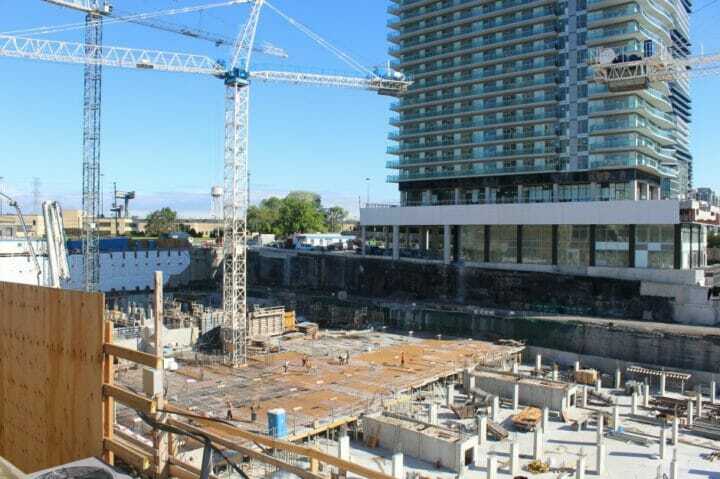 So far We’ve poured over 13,300m3 (cubic metres) of concrete and placed over 1,100 tonnes of steel!